The Estream is another great example. Estream is a portable hydroelectric generator that fits in your backpack. 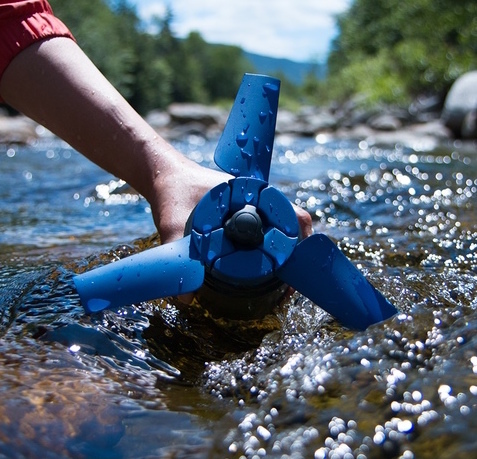 Simply dunk the mini-turbine into a fast flowing stream or river, and the device will convert the energy of the moving water into electricity to charge-up on the internal battery. This stored energy can then be used to charge any USB devices, or even power the integrated light as a hangable lamp. 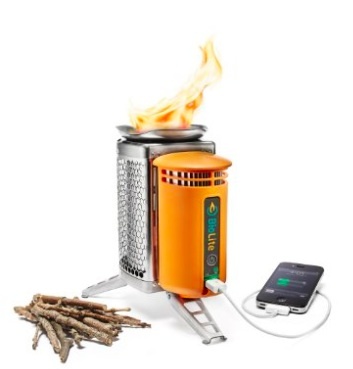 Perfect for taking on camping trips, or making a big difference to off-grid living and providing for yourself if civilisation ever did collapse! 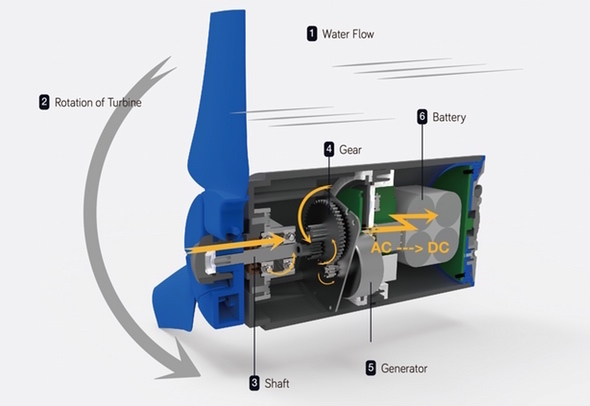 Also check out The Knowledge posts on How to convert a washing machine motor into a generator, How to convert a ceiling fan into a wind turbine, and How To make your own wind turbine. You can support Estream on Kickstarter here. Humble Bundle currently have an amazing offer for their Survive This deal. Every month Humble Bundle offers a collection of related games or books, and this month the theme is games based on survival and resource utilisation in unforgiving environments. All related to The Knowledge and the topic of starting again from scratch, this bundle offers some great sandbox games. These include titles such as Rust where you need to hone your primitive survival skills like building shelters, hunting, and teamwork with other players to prevail in a wild landscape; and PlanetBase, a strategy game where you must build a successful self-sustaining colony on another world and gather everything you need to survive: collect energy, extract water, grow food and mine metal. You can choose to pay what you want for this incredible bundle, and you’ll also be supporting worthwhile charities like Action Against Hunger and WaterAid. The bundle offer runs until 23rd August. Click here to buy from the Humble Bundle website. 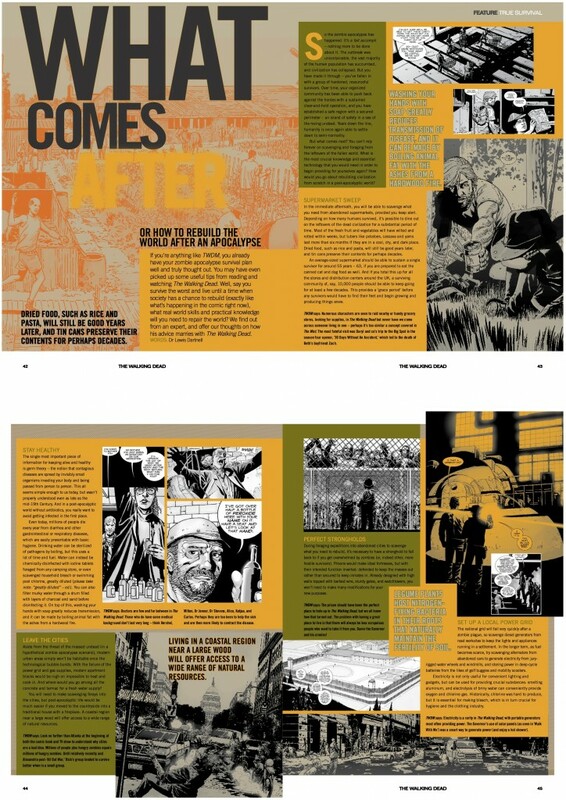 I have written a feature article for The Walking Dead magazine, about ‘What Comes After‘. You’ve survived the zombie apocalypse, fallen in with a supportive group, and been able to clear-out a safe zone to begin settling down. Now what..? You can’t keep scavenging from the leftovers of the fallen civilisation for ever. What practical skills would be most useful, how can you apply a little scientific understanding to keep yourself and your group alive and healthy, and how could you go about rebuilding a capable society for yourself? 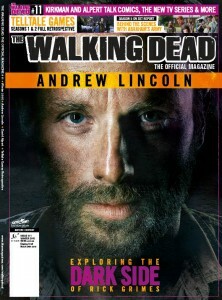 Tying in with this article, The Walking Dead magazine is running a competition. Enter for your chance to win one of five signed copies of The Knowledge. Details on The Walking Dead Facebook page. Is this the best survival device yet? One of the things I’ve been on the look-out for is a ruggedised, shock-proof, water-proof e-reader that you could load-up with all of the most useful texts and documents, and keep re-charged indefinitely with an integrated solar panel. 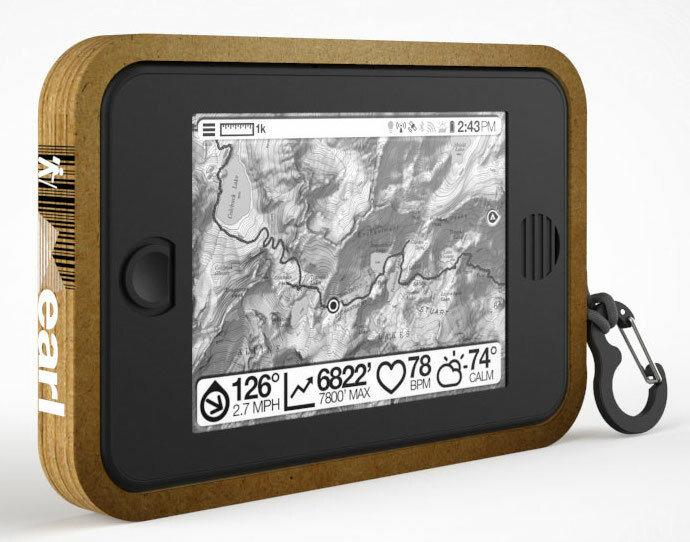 Earl is described by the developers as a backcountry survival tablet, and is absolutely stuffed with practical functionality. If civilisation ever were to collapse, you’re certainly going to want to have one of these in your pocket. Wonderful on-line information resources like Wikipedia are only useful if your computer or mobile device has an active internet connection to access them. And if civilisation were ever to collapse, such vast reserves of human knowledge would evaporate within days as blackouts hit the servers and the internet collapses. This ingenious little device offers the perfect solution. 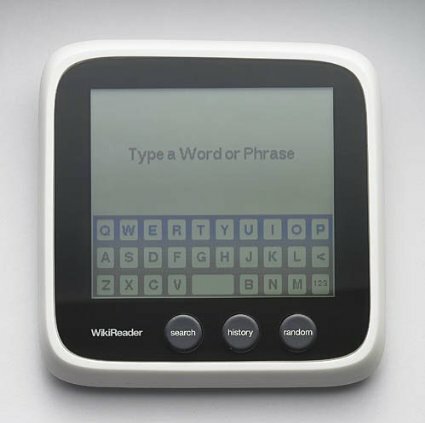 WikiReader is a compact handheld device that provides instant access to Wikipedia no matter where you are, and without needing any connection to the internet. The integral SD card stores the text of three million articles, and regular updates to this database can be downloaded for free. The monochrome display is easy to read, and the touch screen interface allows you to scroll through articles with the stroke of a finger, or follow hyperlinks with a simple tap. You can browse through at your leisure or find particular keywords using the dedicated Search button. History and Random buttons are also included. The ultra-low-power system means you can run it for months before needing to recharge the internal AAA batteries. WikiReader is compact and lightweight, perfect for keeping with you for looking up things while you read or travel, and can be slipped into a bug-out bag. The US publishers of The Knowledge, Penguin Press, are running a twitter competition to celebrate the launch of the book. We are giving away five post-apocalyptic survival book packs, consisting of The Knowledge: How to Rebuild our World from Scratch, along with James Rawles’ excellent prepper book How to Survive the End of the World as we Know it and Sam Sheridan’s personal exploration The Disaster Diaries. Closes 2pm Tuesday 8th April. More competitions to follow – keep your eye on The Knowledge homepage and Twitter feed @KnowledgeCiv for details.